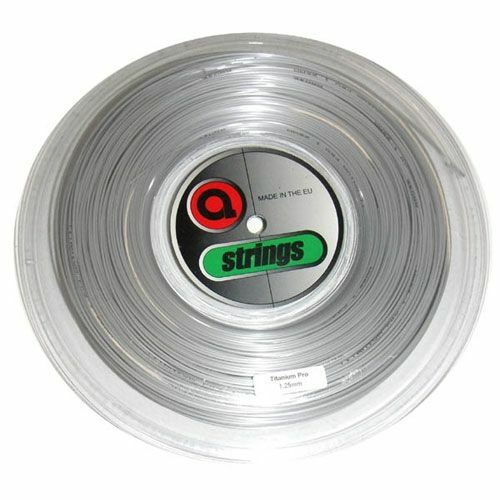 The Apollo Titanium Pro string has a gauge of 1.25mm (0.05”) and offers unique playing characteristics. This co-polymer monofilament string provides a combination of power with finesse and touch and comes supplied in a 200m reel. for submitting product information about Apollo Titanium Pro String 200m We aim to answer all questions within 2-3 days. for submitting product information about Apollo Titanium Pro String 200m. We aim to answer all questions within 2-3 days. If you provided your name and email address, we will email you as soon as the answer is published. for submitting product review about Apollo Titanium Pro String 200m.